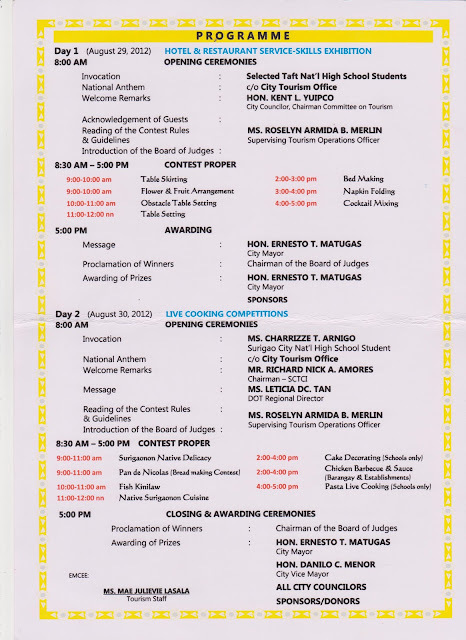 SURIGAO Today: Adto ta sa Tilaw 2012 Food Festival & Exhibits! 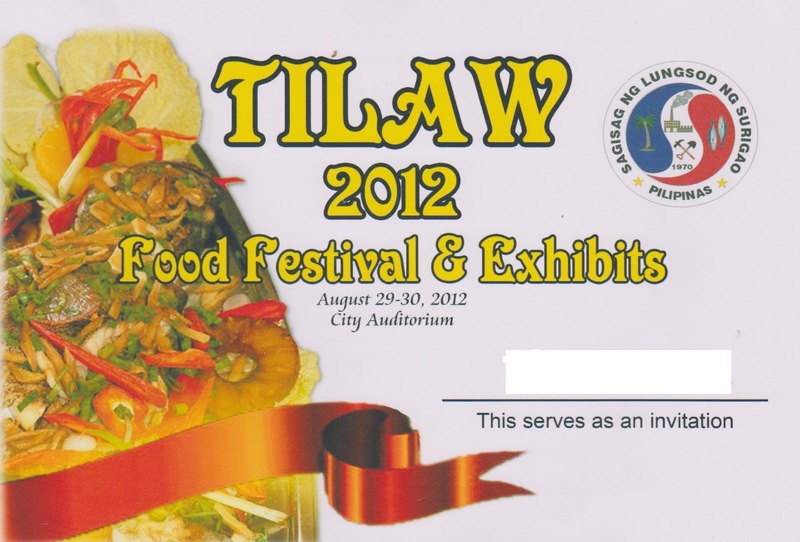 Adto ta sa Tilaw 2012 Food Festival & Exhibits! 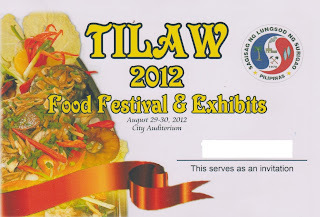 Tourists are once again treated to the city's purely unique tasting dishes as the Tilaw sa Pagkaong Surigaonon (A Taste of Surigaonon Food) 2012 Food Festival & Exhibits officially opened today, August 29, at the City Auditorium. The event is a regular feature prior to the celebration of the city's Charter Day Anniversary slated on August 31, showcasing the talents of local chefs in Cooking Show Competition as well as innovativeness of the students in the table setting, skirting, bartending and cocktail competitions. The 2-day gastronomic affair will end on August 30.